Initially a petition for a swimming pool was filed in 1938 and a special election followed for the issuance of bonds in the amount of $5,000. Despite carrying by a vote of 354 to 201, the pool did not materialize. This was possibly due to a lack of money. The pool issue again arose in the early 1950’s. This prompted a special election in 1952 in which the pool issue passed by a six to one majority. 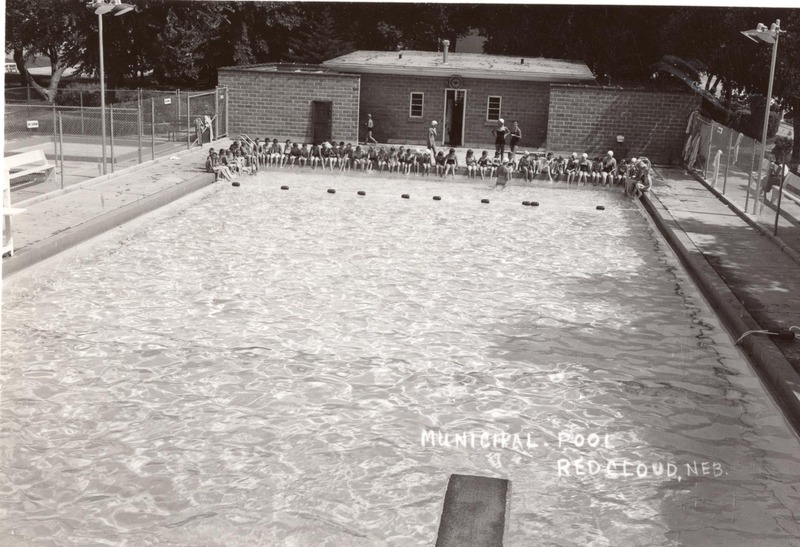 The pool opened for the summer of 1954. 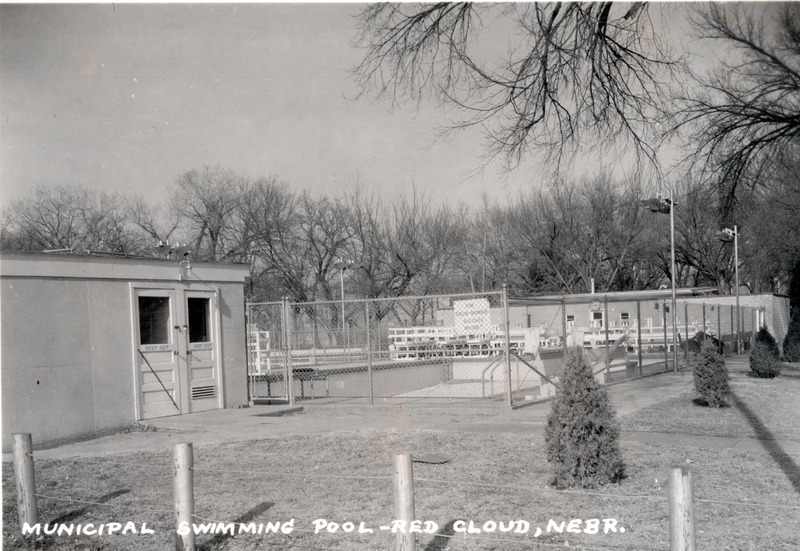 Bathing caps, a basket chute, wire baskets with corresponding metal discs attached to elastic wristlets, and jute-covered diving boards are some of memories attached to the earlier pool. Swim attire was also available to rent during the early days of the pool. Another important pool activity in the 1960’s and 1970’s was a swim team. With the pool manager many times acting as the swim coach, it was not unusual for the swim team to hold two one-hour practices a day. Nicknamed “The Undefeatables,” at their peak the teams numbered more than 50 members and were known to defeat teams from much larger towns including Holdrege, Minden, Hastings, and Smith Center. At least one team member went on to swim competitively in college. Renovation and accessibility projects in the 1990’s expanded the pool’s size and shape from one that was previously rectangular to its current L-shape. During this time a heater was added, the diving boards were moved to the deep portion in the newly created leg of the L, and slides were added on the south. In conjunction with a bond issue that included the community center, a new bathhouse was added in the late 1990’s.